Enchanted Eve Eyes set is one of MAC's limited edition gift sets from December 2015. 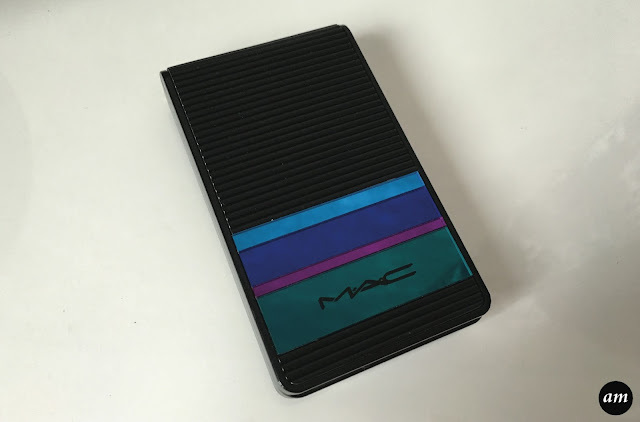 It features six eyeshadows in a compact case with a mirror and a little double sided brush to apply them with. The case is small, making it easy to take out and about with you in case you need to top your makeup up throughout the day. 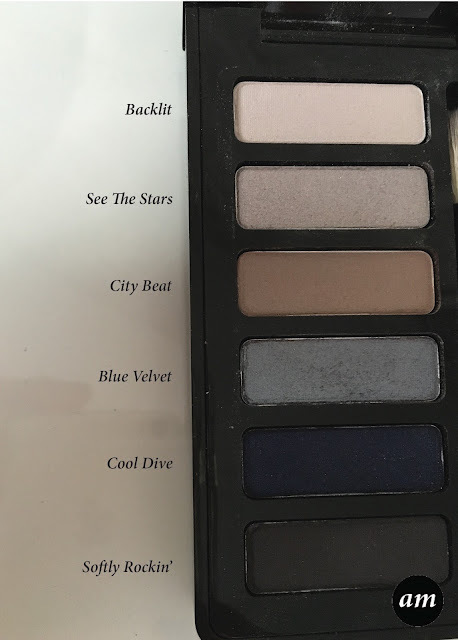 Ranging from light to dark and shimmery to matte the six eyeshadows compliment each other beautifully and can take you from day time to night time with a simple stroke of the brush. Although I love the eyeshadows in the gift set, I don't think they are as pigmented as the ordinary MAC eyeshadows. It seemed to take a long time to build up the shadows. However this is also a bonus point as it means you can tailor the intensity to you and the occasion. The brush that comes with the set is very handy as it features the blending brush on one end and the angled brush on the other. 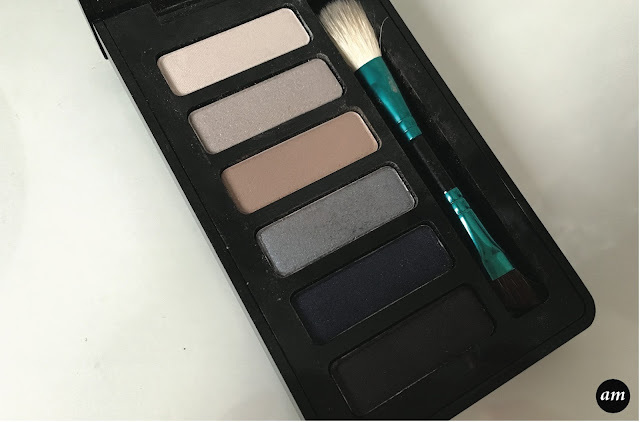 You can create your smokey eye with the blending brush and a soft eyeliner using the softly rockin' shade and the angled brush. The Mac Enchanted Eve Eye set in the colour Navy is a lovely eyeshadow set for yourself or as a gift. The colours would suit almost everyone and are suitable for any occasion.